This year, for the Foodbuzz 24,24,24, I won with the idea of hosting a Thanksgiving Turducken Dinner for the “urban orphans” in my life. Old and new friends, sharing a delicious unconventional holiday meal together. They say “friends are the family you have away from home”, I couldn’t agree more. The STAR of the night was the TURDUCKEN (a de-boned chicken stuffed in a duck, stuffed in a turkey). About 15 lbs. We’ve all heard of such a bird, but no one had tried it, which build up tastepectations for everyone. The one we had from Mara’s Homemade had a yummy rice, shrimp and crawfish stuffing, I could eat a whole bowl of this alone. Really fluffy and flavorful rice with diced shrimp and crawfish. 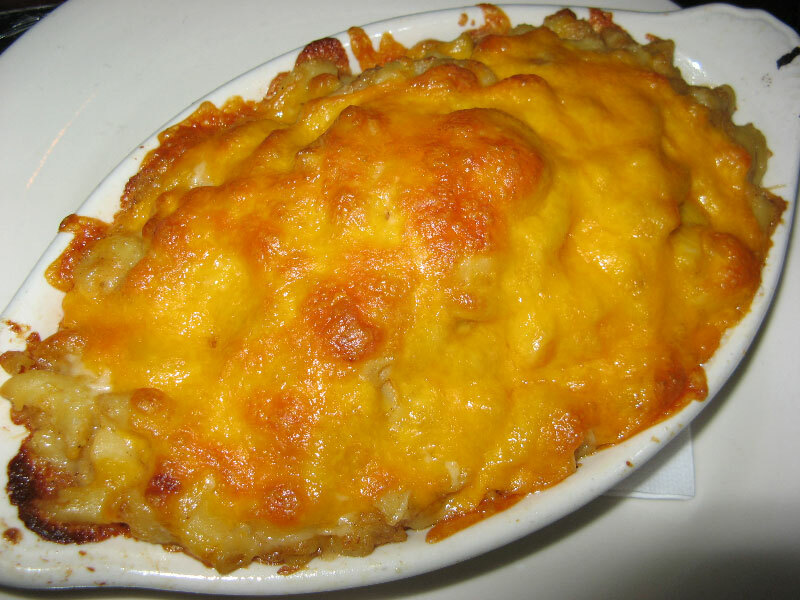 I’d take this over bread stuffing any day. I didn’t care much for the cranberry sauce, but the homemade gravy was smooth and savory. Perfect over the meat. The flavors of the 3 birds were blurred, I was expecting a clear distinction visually and taste wise, but once cut, the turkey definitely took center stage, due to it’s size. Size does matter in this case. 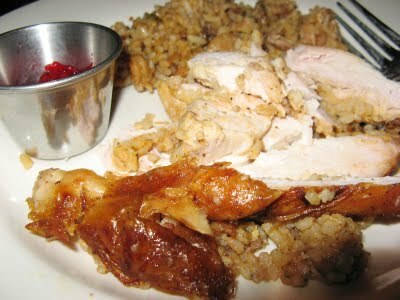 Not being able to taste each part separately was actually a good thing, the bite of everything together was perfect harmony, the best turkey I’ve ever had. 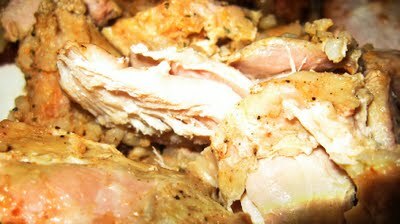 It’s super moist (probably from the duck fat), tender (chicken helps) and well seasoned, I’ve never had turkey this flavorful. The crispy, brown skin was to die for. Once you have Turducken, you can’t go back to turkey alone. 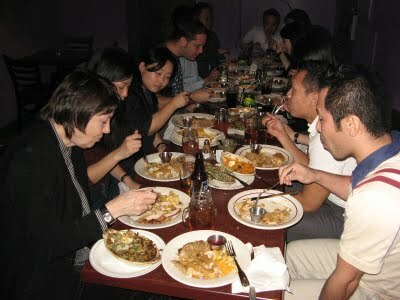 Sharing the food, passing it around our “urban orphans” Thanksgiving dinner table. 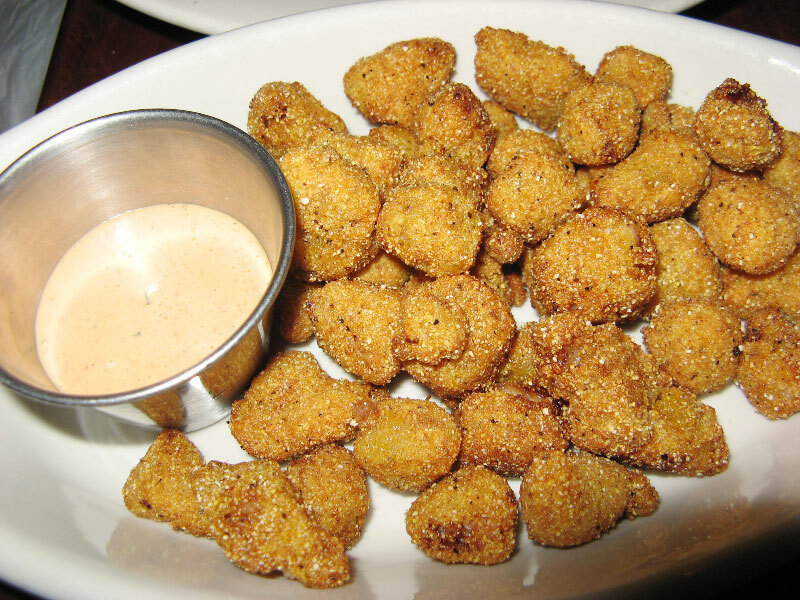 I added some surprising sides to our meal, like the Fried Pickles. Tangy and extra crispy, the cornmeal really gave it that nice coated crunch. I think anything could be fried in that nicely seasoned cornmeal and it would taste good. The remoulade sauce worked really well with it. A nice balanced bite all together, loved it. Gator Bites was another treat I had for the table. Prepared the same way as the pickles, nice and crispy, the gator meat tastes like a cross between fish and chicken. Dip it in the remoulade sauce and you’ve got a nice little popcorn size snack. I had it for the first time while in Florida, and had ordered them at Mara’s before, I’m a fan. Everyone at the table was surprised by the mild taste. If you’ve never had it, I say try everything at least once. 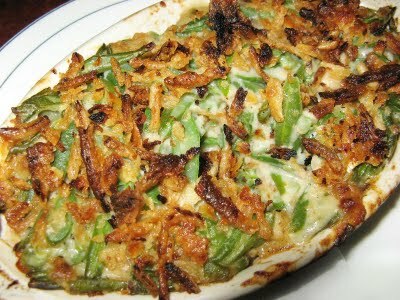 Now to the SIDE DISHES, as important as the main dish in my opinion. The Green Bean Casserole completely changed my opinion of the dish. I haven’t had a version I liked, until my first bite of this. I was sold. 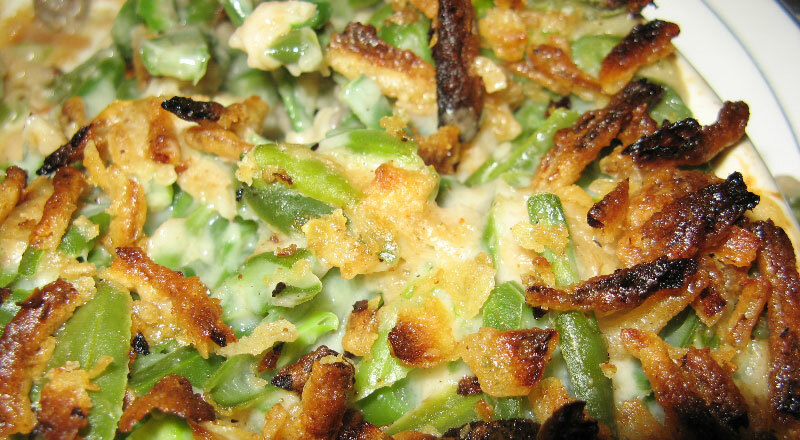 Juicy green beans interlaced between a creamy, soupy, sauce concoction that gave it this over the top hearty, comforting texture, with a slight crisp bite, while the generous amount of french fried onions added a crispy oniony flavor that was out of this world. Sooo good, I wanted to lick the bowl and eat all of the top crunchy bits. Mac and Cheese was extra super duper cheesylicious. I love the nice crust on top, I wish I could of had it all, but this was a time for sharing =). Thanksgiving dinner would not be complete without a Yam Casserole topped with soft fluffy Marshmallows. Sweet and extra vanilla-y, brought a smile to everyone’s face. Fought over the marshmallows, and came away with 1/2 on my plate. 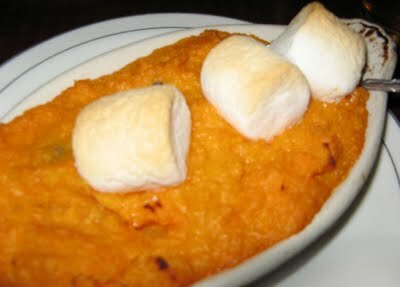 It was so good when it melted into the sweet yam. I closed my eyes for a second and felt a warm hug. 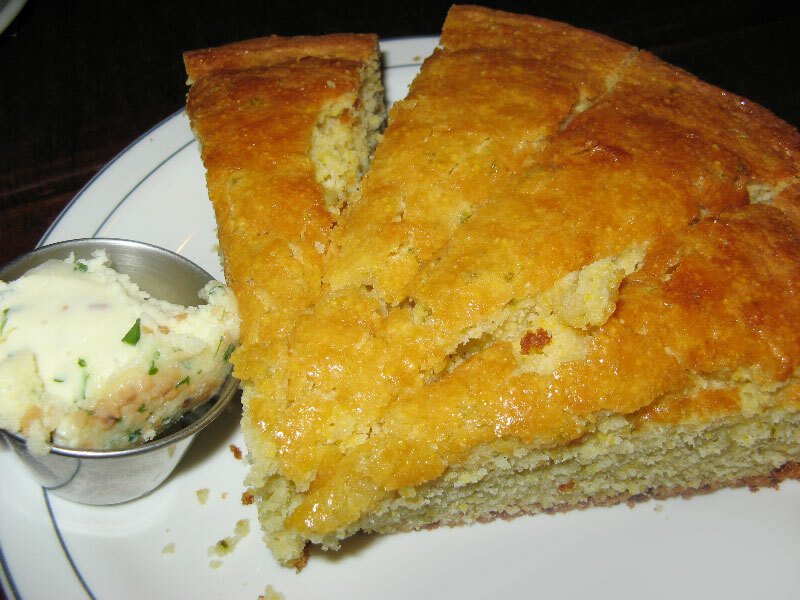 The Jalepeno Cornbread was made from scratch. Fresh, soft, cake texture with a bit of crumbly and chewyness. It had a wonderful corn flavor, plus a hint of jalepeno as a surprise inbetween bites. The herb butter had an intense scallion flavor, like the icing on the cake (or cornbread in this case, wow! 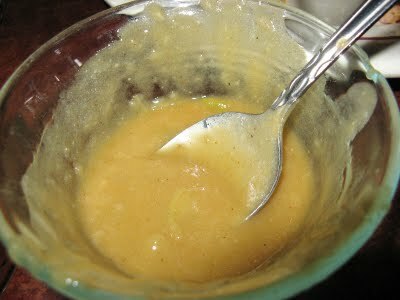 ), brought it to another level of yummyness. Imagine Paula Deen and Bobby Flay had a culinary escapade. We had this last, so it almost became like dessert. Here we are, devouring our more-than-you-can-eat meal. Everything was amazingly good. Cheers from across the table. Great food, friends and more food is what Thanksgiving’s about. After all that food, we waved the white flag before dessert. I felt like a Woman-tur-duck-en at this point, in the most delicious way possible. Happy Thanksgiving to all you chubby’s readers from all the “urban orphans”. And a special thanks to Foodbuzz for making this dinner happen! Aww, man! I'm lucky enough to be able to fly home from NYC to Ohio every year for Thanksgiving, but the thought of a turducken makes me wish I was an orphan. How exciting! You'll have to fill me in later on the turducken process, it all sounds like so much fun! Oh man, you guys got the TurDucken for your meal? That is awesome. The Gator bites sounds interesting as well. Boy, glad you guys have a big gatherings for your Orphan dinner. I wished we have that down here! congrats on your 24 post!! my goodness, we were just talking about making a turducken for thanksgiving next year! we had fried turkey this year, and it was definitely a crowd pleaser. yay to us for this month's 24! yeah it was really good, you should go try it before Christmas, I think they still serve it. I love it! This is a great post, and congrats on 24,24,24!!!! I have always wondered what a turducken tastes like, and with your description, I want to try it even more. 🙂 Happy Thanksgiving! What a GREAT 24, 24, 24! When we are around at Christmas/ Thanksgiving (rare) we always host orphan-type people like this but have never attempted a Turducken!! those fried pickles are on my list of must-try items asap- they look so good! we do an orphan thing every year too- friends are family more and more in our little nuclear unit world. looks like fun! Wow, everything looks absolutely amazing! What a good use of the 24,24,24! We went to NYC on Black Friday and it made me respect anyone who can make it in that city!!! What a great idea!! I can't believe how many people you had!!! Great job! Great 24, 24, 24! Always wanted to try Turducken! Sometimes I get the reversed orphan feeling when my friend and family back home in Toronto are celebrating Thanksgiving in October…I try to gather fellow Canadians in NYC for our own Thanksgiving dinner, but it's always a challenge to find turkey so early in the season. I didn't know you were from Toronto! I use to live there =) went to elementary and high school there! You still have time to try Turducken for Christmas! What a great idea and your turducken feast sounds amazing! Sounds like you had an amazing Thanksgiving! This is really great! What a sweetie pie you are. And a turkducken?!?!? You are bold my darling. BOLD! Congrats on winning the 24 posts. It was an excellent recap, even though the turdurken still makes me squeamish. I have so many questions about the tri-brids but don't really want to know the answers to. I also really enjoyed your video. The darkness helped focus on the stories, the voices and the different accents. Well done! Well done! 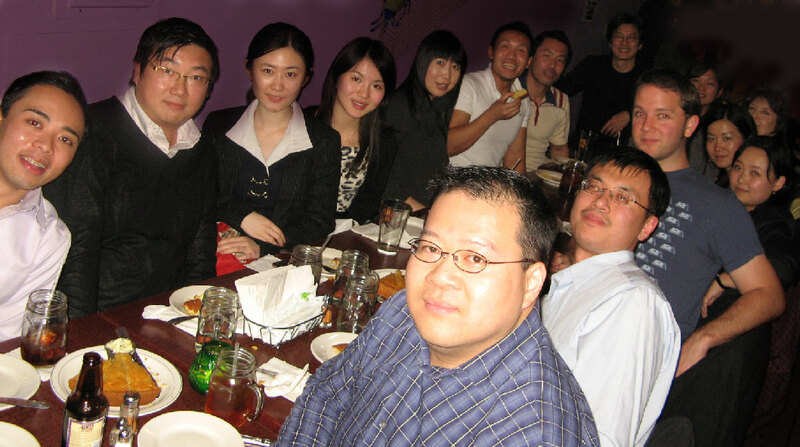 What a nice event…like the first Thanksgiving with so many people from different places. I really enjoyed the video and hearing where everyone was from and what they missed. Thanks, yeah it was really good! 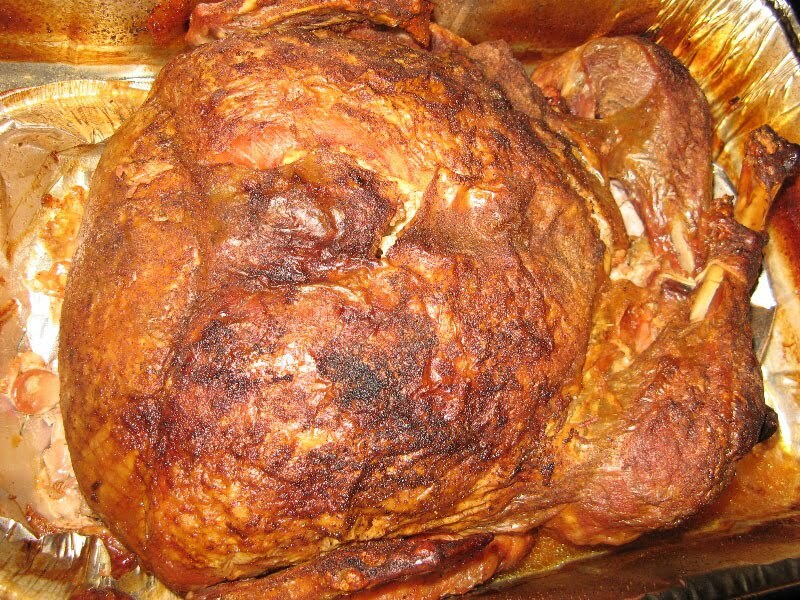 I'm glad you liked it… =) turducken is yummy, don't think about it, just eat it! The one turducken I've ever eaten was sadly overcooked, but glad you had one that was good! 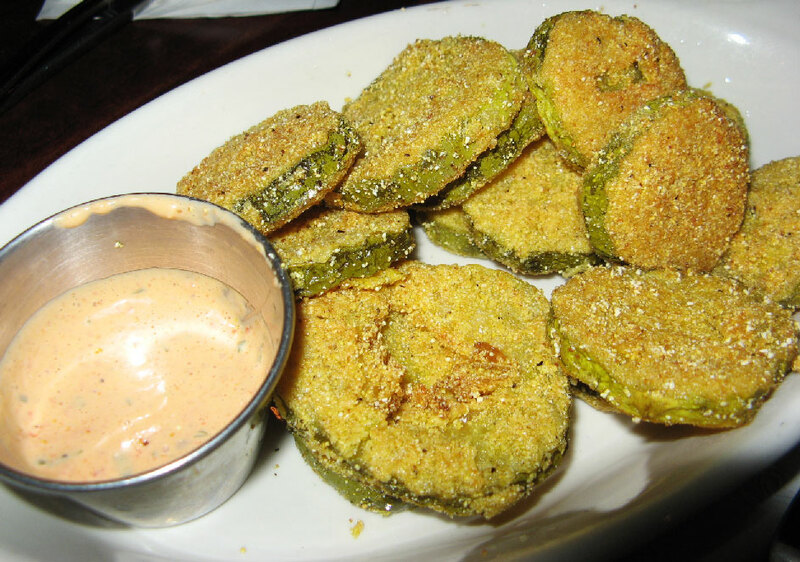 The fried pickles though make me really crave Southern good ol' cooking! Everything looks delicious! I hope you still have your blog. I just joined. Always looking for New York City bloggers like myself…..